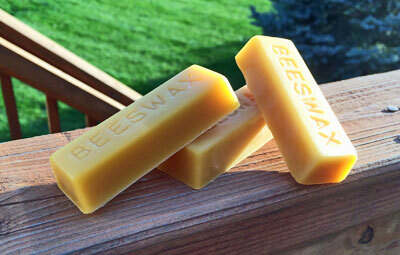 We only use the finest quality, triple filtered American beeswax in our beeswax candles, lip balms, and soaps. We have made that same wax available for sale to our customers. We source all our beeswax from small, family owned apiaries throughout the United States. Our wax is triple filters to remove any debris and poured into 1 ounce bars, making it easy for use in numerous applications. 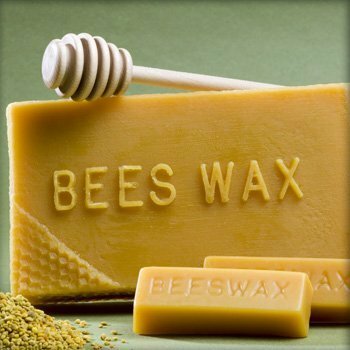 Our wax is NEVER bleached or chemically filtered and therefore still has a light honey scent associated with pure beeswax. Our bulk beeswax is available in both yellow and brown varieties. Click on "Quantity Pricing" Under the "Add to Cart" button for our bulk pricing. Are you buying in bulk, have a retail shop, or using for wholesale applications? If so, contact us for wholesale pricing. I purchased eight bars of beeswax and am very pleased with the wax I received. It was exactly what I expected. ZaxBeeswax provided excellent communication regarding my order and delivery, and shipped the wax quickly. Shipping was inexpensive, and I received my order within a few days of placing the order. The next time I need beeswax, I will order from ZaxBeeswax. Bought this product several times and love it. I finally found a beeswax store I feel good about. I make body creams and chapsticks and have been looking for a store that won’t cost me an arm & a leg, but still sells quality beeswax. I found it at Zaxbeeswax! I could smell the delicious beeswax through my package. I absolutely love these triple filtered bars. I was using some from Amazon and I couldn't stand the smell of them. I ordered from Zaxbeeswax and I am totally impressed with the smell, quality, and longevity of each bar for my products. And I thank you for supporting our troops and police forces.